Once we receive your artwork, we’ll send back a proof within 24-48 hrs. 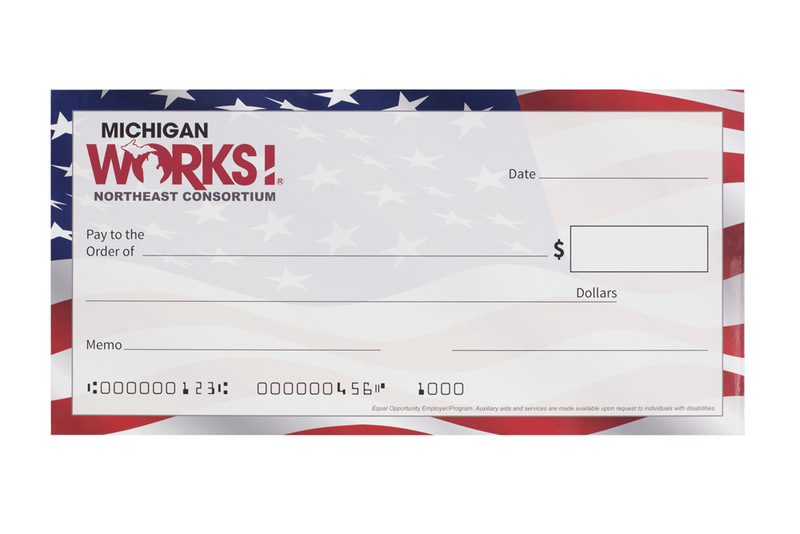 Design your own dry erase presentation checks. 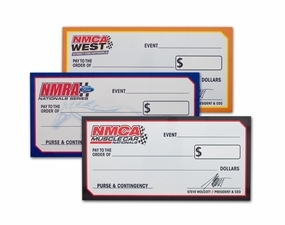 A great way to add flair to an event or publicize charitable donations. 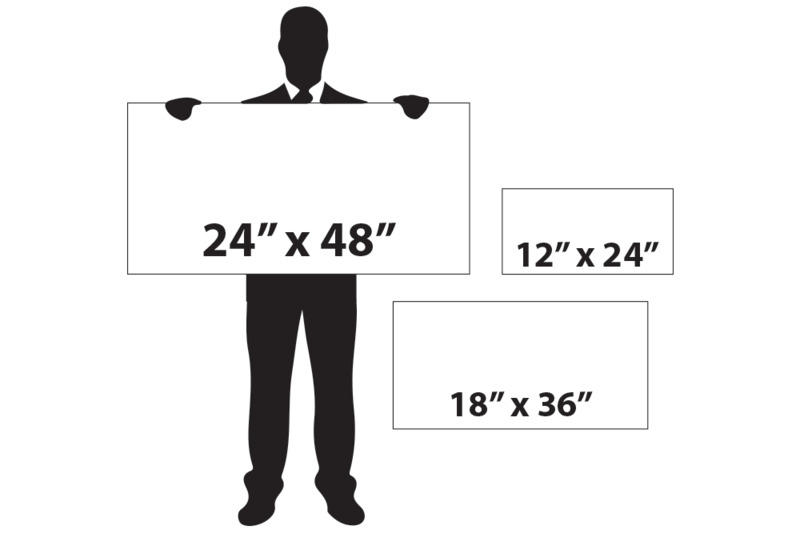 Available in three sizes each with full color OptiPrint graphics and our very own super high quality dry erase surface. 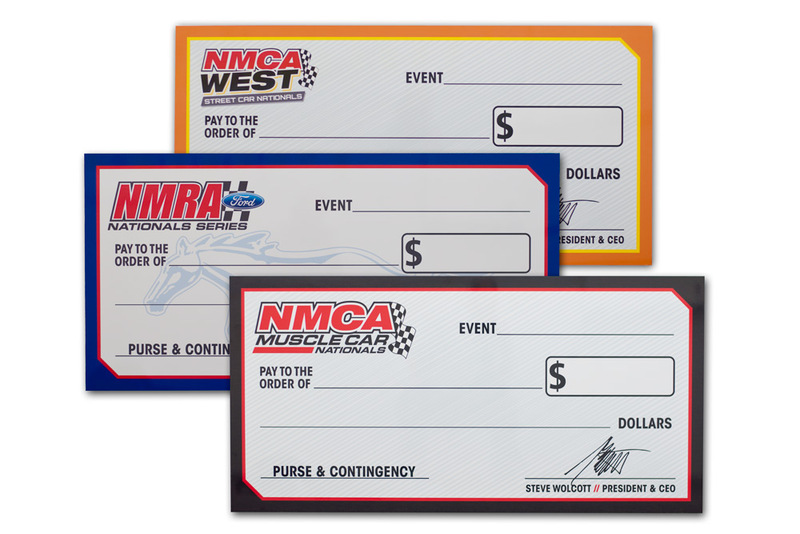 Our reusable dry erase presentation checks are printed on a solid and durable 1/4 pvc not the easily damaged foam-core like the other guys. Tip: Simply clean with water using a damp cloth. It is not recommended to clean with anything containing ammonia, a common ingredient of most glass cleaners. All Art Fees Already Included. Ships UPS in about 3-5 business days after receipt of approved artwork. 5-8 business days total.